Adding page number to multipage TIFF files is a routine that implies editing each page manually. 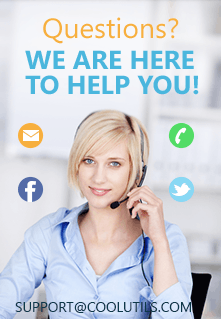 If you are looking for an easier way, TIFF PDF Cleaner is a tool you need. It works for scanned TIFF files that need to be cleaned and tidied up for more comfortable use. 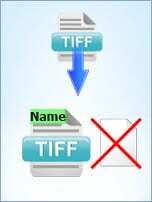 With its help you can delete all blank pages from TIFF files. They usually appear when you scan a lot of paper sheets, combine them into one document. Blank pages also can appear when converting some other file types to multipage TIFF. In the 'Options' tab you need to tick the box for deleting blank pages, if you want to remove them from TIFF originals. 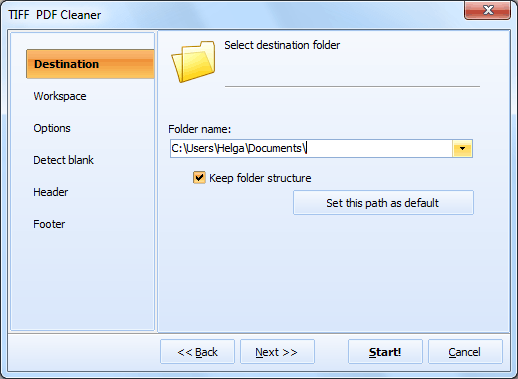 TIFF PDF Cleaner doesn't delete original files, it creates their copy excluding blank pages. None of your experiments will break sources. To put the file name into the header, you need to enter the [name] tag in the 'Header' tab. Set position of the file name text and press the 'Start' button. You can apply compression and set any other additional parameters you need - TIFF PDF Cleaner will apply them to all TIFF sources you selected for processing. The program can also produce reports about a number of empty pages in each selected file. 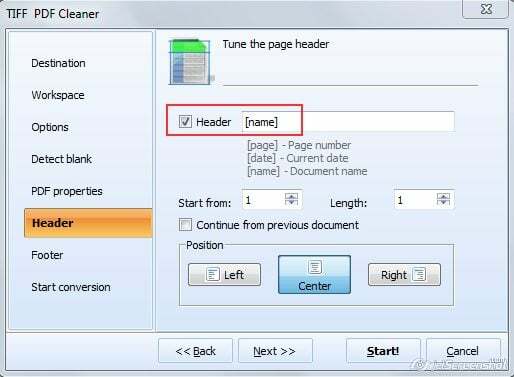 It will help you to learn how many blank pages are there in your files without need to view each document manually. 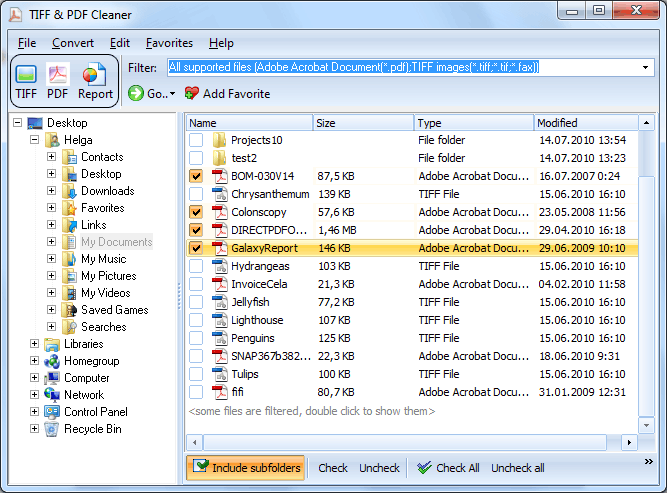 Download TIFF PDF Cleaner for free testing. The test version is available here.